Productivity is key to running any office or professional workgroup. And the versatile SCX-4835FR was designed to deliver exactly that. Now you can print, copy, scan, fax and PC-fax with unparalleled convenience, ease and speed. 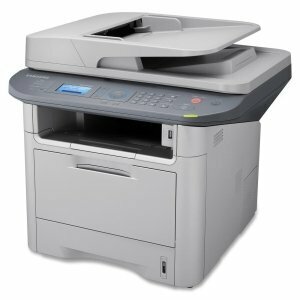 Why cram a corner of your office with several different machines when all you need is one central device - the SCX-4835FR laser multifunction printer.